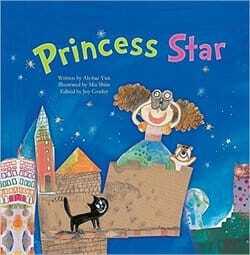 This title features fun illustrations and an amusing story about a princess who wants to replace numbers with stars. The book teaches children about the use of numbers in everyday life. Ah-hae Yun’s ‘Princess Star’ is part of the world’s largest mathematical story picture book series, called TanTan Math Story (70+ titles). The English translation of this original South Korean version was done in 2015. The story is about a young princess who prefers stars to numbers. Problems arise when she starts replacing all the numbers around her with stars. Can she survive a day without numbers? The story does a good job in showing to very young children why numbers can be useful to our everyday lives. Like most titles in this series, the book comes with a few mathematical word problems relating to the story to be solved at the end of the story. 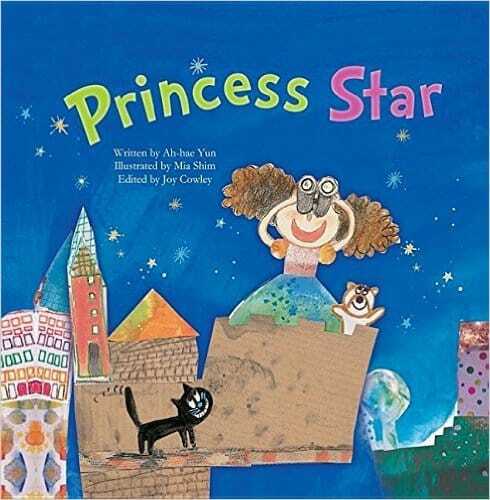 All in all, ‘Princess Star’ is a lovely story to introduce the fact that mathematics is all around us to children aged 4+ years old.